When the Stadtische Galerie im Lenbachhaus inaugurates its new annex building designed by Norman Foster on Konigsplatz on May 8th, the museum will present its collection centered on The Blue Rider in a new setting. And, moreover, the museum has a veritable surprise in store: In addition to its own inventory, which has recently been considerably augmented by the purchase of the Beuys environment "Vor dem Aufbruch aus Lager I," the museum has acquired a further seventeen original early plastic artworks by Beuys in the form of a donation from publisher Lothar Schirmer. The entire Beuys inventory--a new focal point of the Lenbachhaus colelction--will be on permanent display in the old studio wing. 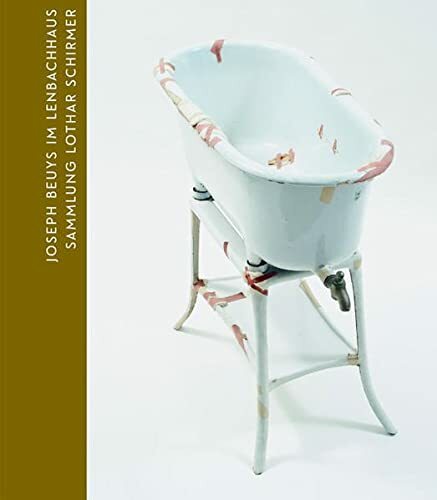 We are pleased to announce that, in honor of this, the Lenbachhaus is planning an anthology of its own containing texts by Joseph Beuys, Helmut Friedel, and Lothar Schirmer.